I grew up in Japan and has a primary school background just like any other Japanese. Documentation available. This backgound enables me to understand Japan and Japanese on a level another canditate will have huge difficulties in matching. I have a diploma from the Danish Export Institute. This degree is accredited by "International Marketing and Export diploma IATTO (International Association of Trade Training Organization)". For documentation please click here. 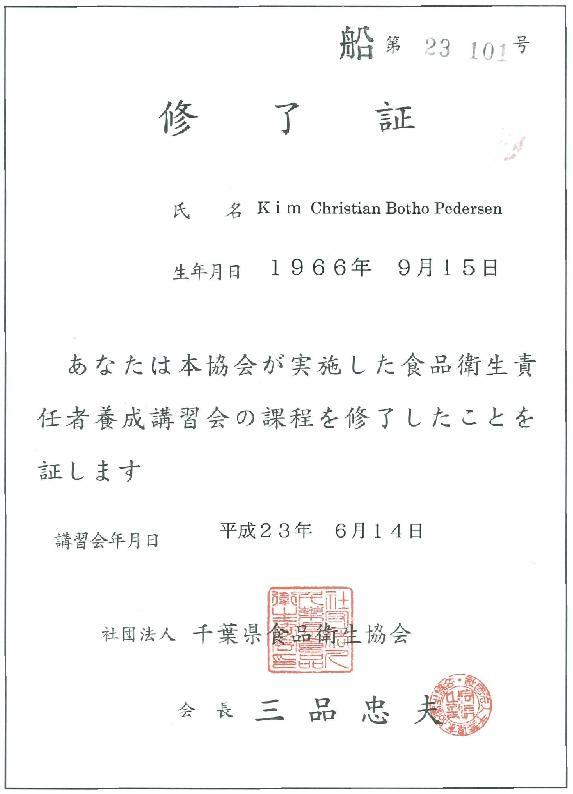 I went to Arhus University for two years studying Japanese from 1994 to 1996. 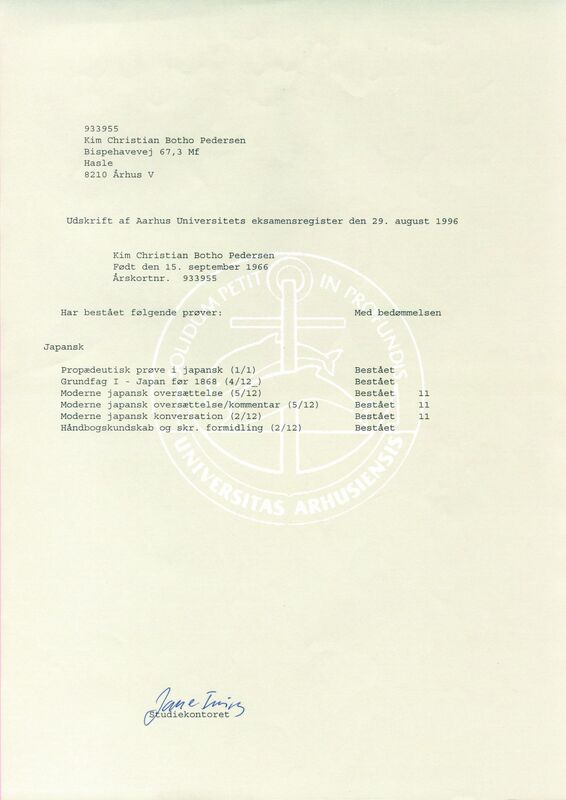 I decided it was better to study marketing, why I changed to the Danish Export Institute from 1997. Click here for my papers from Aarhus University. Kanji kentei, is a Japanese diploma for native Japanese in knowledge of the Japanese / chinese characters. For documentation click here. I am aiming for 2 kyu.